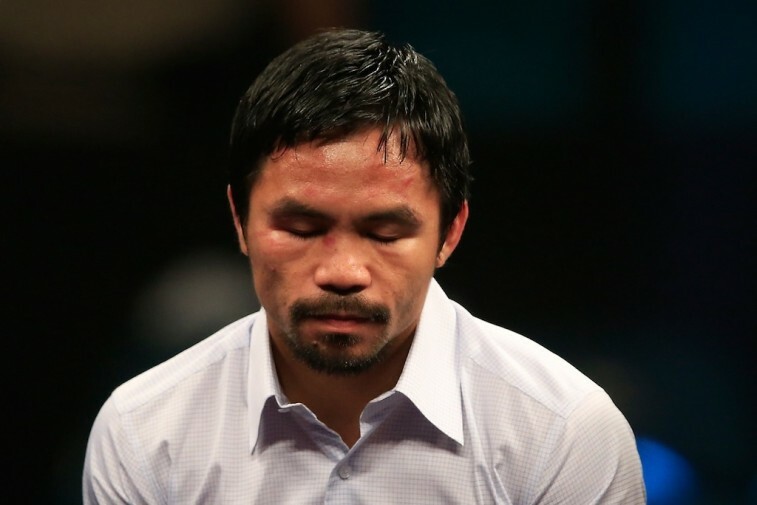 Did Manny Pacquiao Mislead the Public? As if facing Floyd Mayweather Jr. in the previously billed “Fight of the Century” wasn’t hard enough, now Manny Pacquiao may find himself in another heated battle. And this one might cost him more than the May 2 fight ever did. 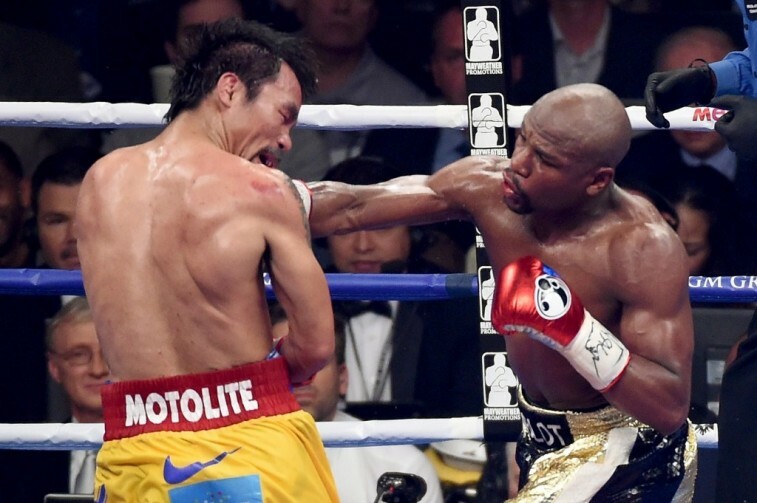 There is a possibility that Pac-Man may face disciplinary action from the Nevada Athletic Commission for failing to disclose a shoulder injury prior to his match with Mayweather. The fighters were asked to fill out a commission questionnaire the day before the fight, and Pacquiao did not check the box indicating he had a shoulder injury. Then right before the bout, he requested he be allowed to take an anti-inflammatory shot (to which the commission said no). For these reasons, Nevada Athletic Commission Executive Director Bob Bennett said they found themselves in a tricky situation, especially since Manny had filled out the form himself and was aware of what was being asked. As you can see, this is quite the mess. It’s even further complicated by the fact that Pacquiao needs to have surgery to repair a “significant tear” in his right shoulder. 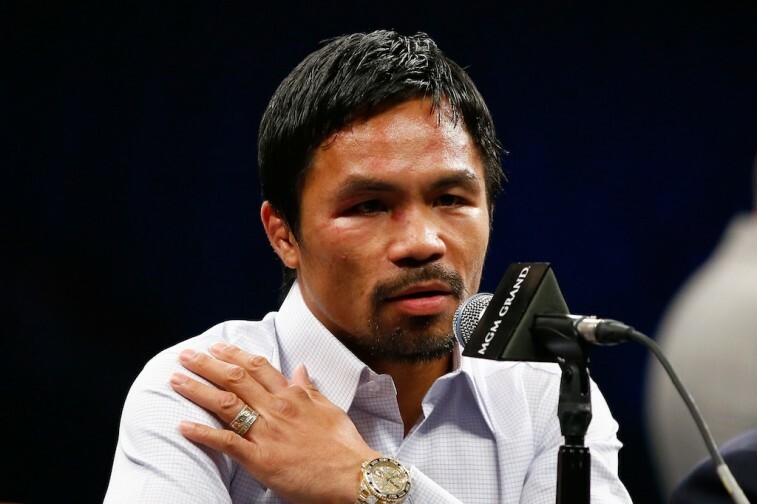 After the fight, Manny did admit that a shoulder injury prevented him from putting for his best effort. But until we learned of the expected surgery, we weren’t aware of the severity of the injury. Given how everything played out, you have to wonder if the Pacquiao camp knew how bad things were but decided to continue with the fight as planned. If this was the case, then the public was never going to get its money’s worth. And that’s a problem. Was Manny’s injury severe enough that his team almost considered postponing the fight? Yes. But trainer Freddie Roach indicated that the shoulder was getting better as training camp went on. “We thought at one time we’d postpone the fight, but as the weeks went on it was getting better and I was happy with his performance,” Roach said. “I thought the progress was good enough.” This all seems a bit odd, because Pacquiao had been on medication prior to the fight — information that was listed on the pre-fight medical form — but the camp never specified what they were for. Top Rank promoter Bob Arum claimed that the commission was made aware of the injury. He also said that paperwork was filed with the U.S. Anti-Doping Agency requesting that Manny be allowed to take the anti-inflammatory shot since it was similar to treatments received during training. Yet Nevada Athletic Commission Chairman Francisco Aguilar refuted this statement. Another organization that denied Arum’s statement was the U.S. Anti-Doping Agency. We’re sure the public most likely feels the same way. Clearly there needs to be an investigation into the matter. But if it turns out that Pacquiao’s team knowingly withheld information, then it’s the general public who suffered the most. Anyone who was willing to shell out $100 to see this mega-fight on pay-per-view was certainly not getting their money’s worth. And that’s simply not cool. If Manny’s injury was severe enough that his camp considered postponing the fight, what possible reason could they have had to go forward with the match? Actually, come to think about, we can probably come up with around 400 million reasons why the show had to go on. If this all turns out to be true, then we hope it was worth it — because the fight certainly turned out not to be.